Brand awareness is at the core of most good marketing programs. Whether you call it mind share, recall ability or awareness, the sales reality is people like to buy things that they have a positive feeling about. That positive feeling may be nothing more than an faint memory that they remember the name perhaps the brand itself generates a positive tone. Most of the wineries I talk to have a basic understanding of branding, often they get the set up right but fail in the follow through. Much like establishing and maintaining a vineyard, a brand requires a significant commitment to make it successful. These days branding can include not only name generation, label design, signage, public relations, e-mail, advertising and other sponsorship supports but also includes social media: Facebook, Instagram, Twitter, Vine, Yelp and whatever is next. The good news is that these are very learnable skills the bad news is they are time consuming without direct return on investment. Just as you would establish a spray program in the vineyard, the best tool for starting your branding efforts is an old fashion calendar. If your goal is increased visits to your retail room, look at your busiest month; what would it do to your bottom line if you doubled visitation that month? Do you have the infrastructure (and the wine) to support such visitation and sales? If yes this will be our target month. If not, your goal should be to extend the month to eight weeks (Sept-ober). For this example we will use a winery event as our foundation event and build a 90 day branding calendar based off that date. For scheduled social media posts, I prefer to create each account’s own rhythm with posts. I also encourage my clients to link their social media accounts so that when one is updated they all are updated (tweetdeck is a popular tool for this). I usually schedule updates for the start of the day so that if something topical comes up I can post it later in the day and not upset the built in rhythm of posts. I often create a type of post for each day in addition to Wine Wednesday, I may include a wine quote on Monday, a vineyard update on Tuesday (during the growing season), a cellar update on Thursday and a wine recommendation with pairing on Friday. Don’t forget the power of images. People love to feel like they know where their wine is coming from and who is behind it. Tell the story of your winery through these methods each and every week. With your scheduled posts entered and ready to rollout, there is a need for earned media (publicity that you don’t pay for). As a marketer, I encourage clients to be strategic in their anniversaries. If your winemaker has been with you for seven years, schedule a special event in the retail room during your busiest month (it really doesn’t matter that he was hired in February seven years ago). Coordinate your wine releases with media releases and special tastings in the retail room. Well written media releases from good sources become content for blogs and newspapers. I generally advise sending one media release a month. While I have broken this rule when the event is newsy enough, it is a good rule of thumb. The branding schedule therefore needs three media releases going out Day 1, Day 31, Day 61. Anytime you send a media release, rewrite it to be appropriate to be a newsletter to your e-mail list. Email recipients love that they got the news as an insider before it appeared in the paper. I also work to schedule local radio interviews starting Day 61 through to the event. Owners, vineyard managers, tasting room manager and winemaker all make interesting spokespeople (but require some level of spokesperson training). If the foundational event is newsworthy I would also include a media advisory that goes out via e-mail to your media list on Day 83 and on Day 89. The foundational event also needs some paid advertising support. In terms of media buys, I tend to shy away from television and glossy magazines as I do not see them delivering the value for the buy right now. I like local radio and local newspapers. I also have had good success with targeted Facebook advertising. Before you get to Day 100, draft a post mortem memo highlighting all the things that went well and went poorly. Include any discernable data regarding how guests learned of the event. Looking over this list it is clear why many wineries fall short on their wine branding efforts — it is a great deal of work. The benefits of properly feeding and nurturing a wine brand is the same as such efforts in the vineyard and equally worth the time. Every brand identity has a weakness. There are some stronger brands that have the lingo of the day over take them, others find what once was a strength is now perceived as a weakness, and finally some brands find their brand identity has obscured their product. Many years ago a small businessman started a pest control service, Pest Management Services. In the intervening thirty years the initials PMS came to have a totally different meaning. As his business was a low margin business rather than renaming the business, he simply asked his associates to change their verbiage to use the term “Pest Management’ rather than the initials — a quick, free fix. Located in Seoul Korea, it’s hard to believe that the World Taekwondo Federation is unaware of the urban slang that their acronym (and colorful logo) represent in much of the western world. Either they have too much vested in the logo, or they don’t care. If I were advising WTF I would encourage a two step process change the logo then rework the name. For several years, Dunkin Doughnuts were known for their ubiquitous commercials touting time to make the doughnuts. Their story was fresh baked doughnuts made by real people who got out of bed just to bake your doughnuts — until doughnuts became a dietary target and no matter how freshly baked people were trending to Starbucks for coffee and leaving Dunkin in the lurch. Time for a brand revamp. What are people stopping for? Coffee (and a pastry) what is the biggest drawback to Starbucks — th e line. Bring on a new brand position that brings in patriotism, hints at health and productivity – America runs on Dunkin’. I had nothing to do with this campaign but I have to believe it was a tough sell — “you plan to use fitness to sell doughnuts?” . I consider this to be one of the strongest brand pivots in recent memory. One of the fundamental marketing challenges is to develop a memorable brand identity that complements the product without obscuring the product (and the consumer benefits). The most successful brands see their brand come into common place use for the product. Sunkist Oranges are a good example of a brand name that speaks to the product. 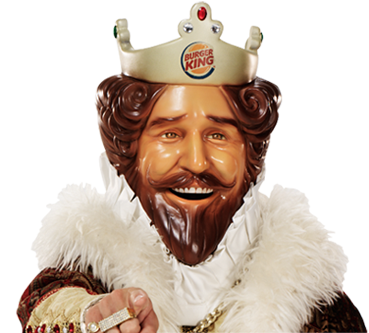 Now what about the King campaign for Burger King. One might ask how Ronald McDonald might be perceived in today’s culture rather than the mid sixties era he was launched. In this case, Burger King dethroned the King and most folks thought they waited too long. If you do a 360 degree review and focus on what you do well, speedy service, great coffee, excellent value build your brand position base on strength of you unique selling position — and don’t be afraid to modify that position as time moves forward. A unique selling proposition (USP) is a description of the qualities that are unique to a particular product or service and that differentiate it in a way which will make customers purchase it rather than its rivals. Rather than using the USP verbiage, I find that a more in New York style question of “What’s Your Stor y?” generally drives the brand awareness conversation. Everyone has a story to tell and told properly these stories can help to sell your wine. Stories/ideas that have worked include tying to the real or imagined vineyard location (Pine Ridge, Silver Ridge, Pillar Bluff), linking in with celebrity ownership (Coppola Estate, Newman’s Own, Andretti Winery), or elevating a winery/vineyard process (Toasted Head, Barrel Oak, Twisted Vines). One “encore career” client demonstrated the ability to not only identify his USP but to wrap his brand around it. 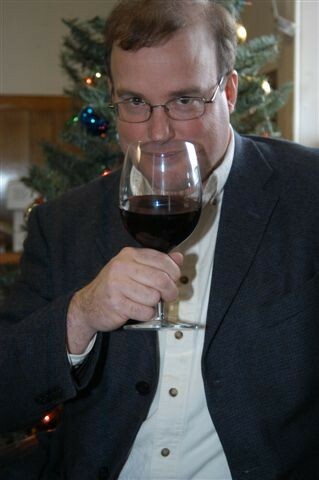 Jim Turpin of Democracy Vineyards is a self described “recovering lobbyist”. His back story of politics in both the Virginia State Capital and the Nation’s Capital made for the selection of the winery name somewhat a no brainer but he and DV owner Susan Prokop took the concept even further. Turpin wears bright red white and blue outfits to festivals and other winery owners have taken to calling him Captain America. Each of Democracy’s custom crush wines have names that evoke the concept of Democracy. There portfolio currently includes Velvet Revolution, Declaration, Emancipation, Sufferage, Unum, Parliment and Alabaster. 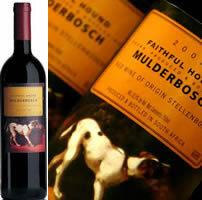 Another wine brand I use in these discussions is South African Winery Mulderbosch “Faithful Hound” brand. In addition to being a fantastic red blend year after year. I have witness folks break into tears when reading the story printed on the label, that tells the tale of the dog, whose owner moved but returned every evening to sit on the porch and wait for his return, the dog died with his love unrequited. This is a wine with a story. 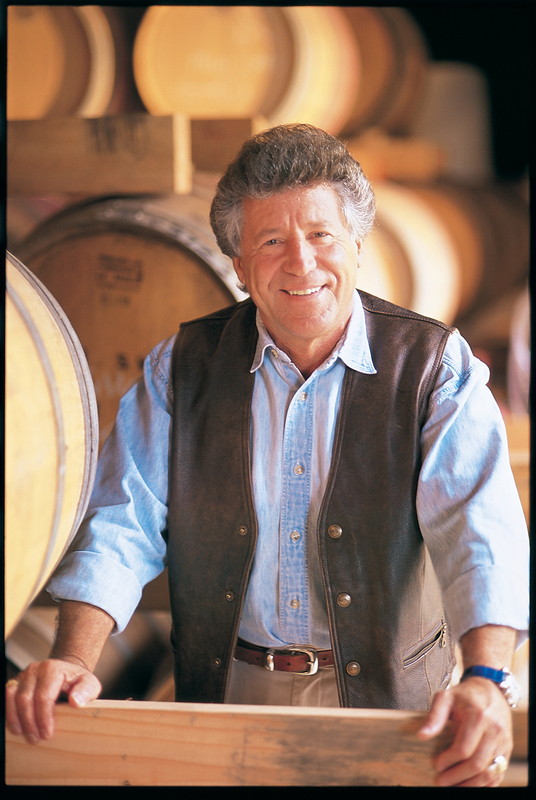 Another way to look at the nurturing of a brand is understanding how you, or the winery owner, or the grower or the winemaker are the face of the winery. People want to know people. They love getting inside scoop on the upcoming vintages or harvest so they can impress their friends with their understanding of the business. The best person to be your “face” may not be the owner. But a word of caution, if you invest significant brand equity in an employee or partner, recognize this as a strategic decision and think how you will respond when they move on. Above all else be true to who you are in your brand positioning. If you can’t stand dogs, don’t put a dog on your label. Just like fear, consumers smell phony from a mile away. In addition, if you don’t believe it why should anyone else. Here’s your homework, sit down with a pad of paper and write down ten things about you that make you unique and think of how you might integrate these into your brand positioning. It may not be a label concept at all. One client was an avid Ford F-150 driver. That’s all he owned his entire life a series of these Ford Trucks. Rather than put that into the label concept we simply added a new title to his signature Winemaker & F-150 Driver. You have to be genuine, interesting and unique. It’s all that easy and it’s all that hard.